This month’s brand is one of the first vegan accessories brands that caught my eye when I started to research vegan fashion companies. 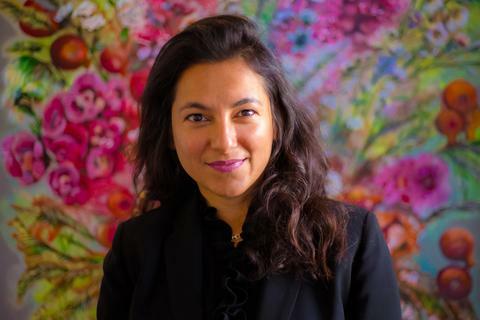 Vanita Badlani Bagri founded LaBante London in 2009, after she combined her passion for designing accessories and animal welfare. Their ethos is “Fashion With Respect” – something I was keen to learn more about. LaBante is a fabulous brand to support as they have proven that vegan fashion can be chic, modern and high quality. I love brands that dispel the myth of vegan fashion being frumpy or boring. They sell a variety of styles of bags, wallets, sunglasses, jewellery and even some men’s wallets. The outer shells of their bags are all vegan leather, made from Luxe Polyeuthrane, microfibre and recycled vegetable fibres. No animal dyes or glues are used either and they are a PETA approved label so you can rest assure that every item they sell is 100% vegan and cruelty free. LaBante is also a responsible, sustainable company and only use recycled polyester for the linings of the bags, saving 10 million plastic bottles from the landfill so far! They have a zero waste packaging system, their dust bags are made from recycled materials and the swing tags are made from 100% recycled paper. They state all of this on their website so you can make an informed decision before purchasing from them. They are sweatshop free and very transparent about their manufacturing factories, stating that they only work with factories that have SEDEX certification (a global membership organisation dedicated to driving improvements in ethical and responsible business practices in global supply chains) They regularly perform spot checks and social audits as part of their due diligence processes. This makes me satisfied that LaBante are doing a good job in sourcing responsibly and taking care of the workers who make their products.They also donate 10% of their profits to charity – bonus karma points! Ever since I discovered the label it has been on my vegan wish list of items to buy – and I finally got the chance to make a purchase! I was at Vegan Life Live with my girl @thegoldengrenadine (here we are above pigging out on vegan ice cream!) and I made a beeline for the LaBante stall. 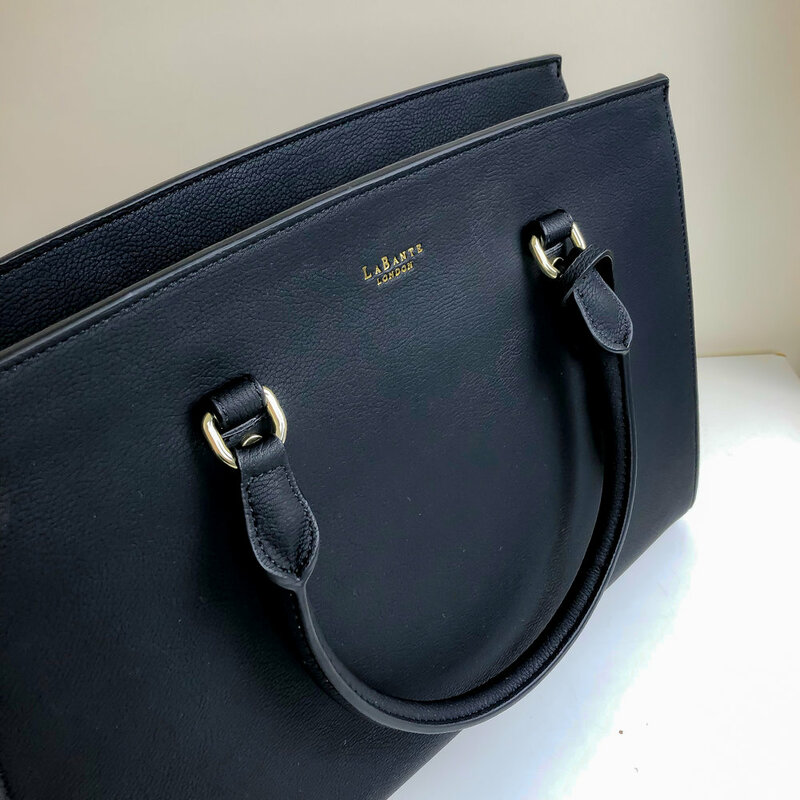 They had a great selection on offer and huge discounts so I seized the opportunity and picked the one I had been eyeing on their website for a while; the Aricia carryall bag in black. It was originally £199.90 but I managed to get it reduced to £120 – an investment piece for sure but probably the only bag I’ll be buying this year (don’t hold me to that please). It’s a classic design, sturdy and formidable – basically me in bag-form. I think that’s why I gravitated towards this bag, it makes me feel powerful and ready to take on the world, laptop in tow. As a blogger I need to be able to take my laptop with me on the days I’m writing in a café or wherever. I had just been using a canvas tote bag but needed to upgrade for a more professional look. It easily fits my MacBook Air (13 inch) and is protected in a padded separate section of the interior. It has an external pocket on the back panel, an inner zipper pocket and a compartment for your phone/keys etc. This is a really great choice for a classy yet functional bag that can protect your laptop while you travel. I can’t wait to take it out for it’s first day out and style it with some different outfits, I can see it working for the office and casual wear too!